Tickets are just $25. To purchase, click here. 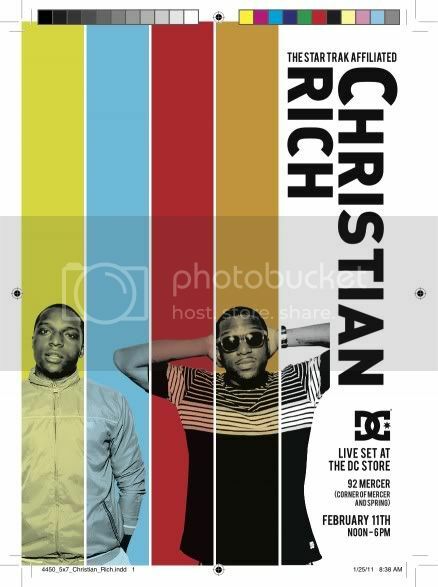 Producer duo Christian Rich will be spinning live at the DC store in Soho the last day of the Fashion Blogger Conference. 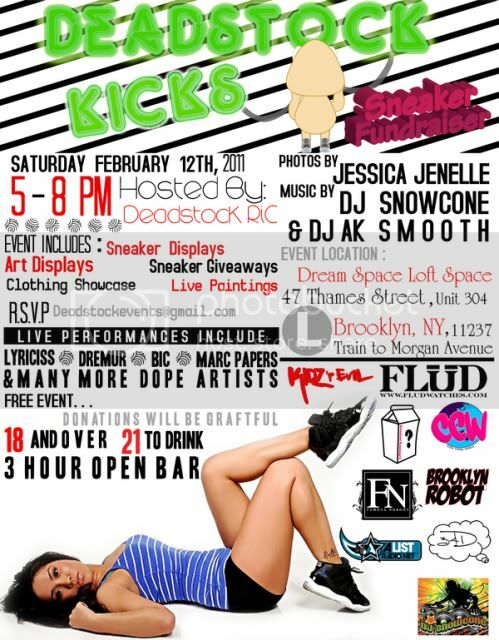 Deadstock Rick of Deadstock Kicks is having another fundraiser this Saturday to help in the impending opening of his sneaker store. I went to the last one and had a good time so you guys may want to check this one out too. For all of you who want to try to make it into any of the shows happening at Lincoln Center, here’s a step-by-step guide on how to do so without being invited. This entry was posted on Thursday, February 3rd, 2011 at 3:45 pm	and is filed under EVENTS, FASHION, MUSIC. You can follow any responses to this entry through the RSS 2.0 feed. Both comments and pings are currently closed. hey it was nice meeting you yesterday at the IFB CON! lovely site you got here, have fun working it at these events! 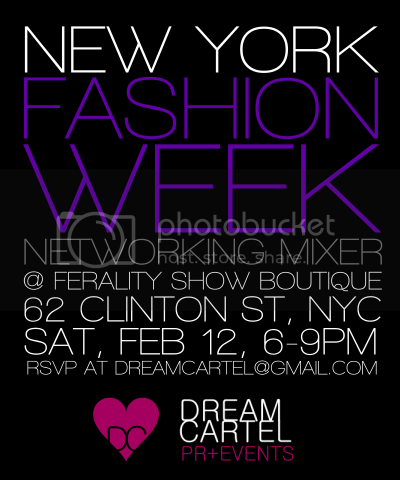 @Misha if I can make it to this Knicks game tomorrow then you may see mr at that fashion networking event. @Clayton I wasn’t able to make the show last night but I can imagine how exciting it was. @Jennifer it was nice meeting you, too! You have my contact info. If you ever need anything just let me know. Great to meet you at IFB girl! I made in back in one piece thank God!